Our LN375 Flat Lanyards are an economical way to wear your ID card, keys, backstage pass, or just about anything! 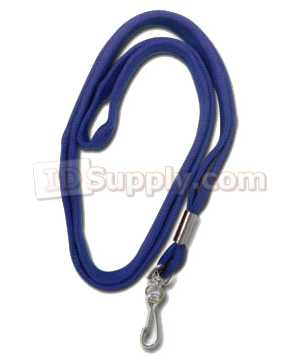 LN375 Flat Lanyards are made with a durable 3/8” wide woven polyester material and are available with a Swivel Hook, Split Ring (Key Ring), or Bulldog Clip. Lanyard length is approximately 36 inches. LN375 Flat Lanyards are available in Black, Navy Blue, Royal Blue, Red, Green and White.